Alcohol and pregnancy – Why doesn’t it worry us? Following a call for submissions to the Food Regulation Standing Committee (FRSC) Pregnancy warning labels on alcoholic beverages public consultation, Australian governments will shortly decide whether to mandate alcohol pregnancy warning labels on all products sold in Australia. Currently in Australia, alcohol companies are not legally required to include pregnancy warning labels on their products, and instead choose whether or not to include any information about the harm of alcohol and pregnancy on their labels. New market research undertaken by Hall & Partners found that the alcohol industry’s current voluntary approach to warning of the dangers of drinking during pregnancy is misleading, confusing and fails to adequately raise awareness about the risks to the unborn child. Off the back of this research, the Foundation for Alcohol Research and Education (FARE) has commenced campaigning for a new mandatory labelling system to complement its FRSC submission. Today on Drink Tank, Louise Gray, Executive Officer of the National Organisation for Fetal Alcohol Spectrum Disorders (NOFASD) Australia, asks: Alcohol and pregnancy – Why doesn’t it worry us? We worry about bagged lettuce, we are fearsomely opposed to smoking during pregnancy; we gladly take soft cheese off the menu and share information about the dangers of listeria. Summer 2017, Sydney, Australia. A group of upwardly mobile 30-somethings gather for a Christmas party. Plans to celebrate a year of campaigns, social media successes, work portfolio growth, and the benefits of quality education and living in a country like Australia. The food on offer is the best that Australia can provide in this season – quality seafood, fruit, cheeses and meats – a wide variety with lots of alternatives. After all, some of the party attendees are pregnant and they need alternatives so that they can avoid raw seafood, camembert and the host of other items highlighted so that women who are pregnant won’t consume them. Even lettuce needs to be sourced and the origin identified to make sure that it didn’t come from a dreaded bag. Smokers, of course, won’t even make an appearance at this gathering and will be huddled outside in furtive groups. Enter Nicole, a slight and well-exercised woman, five months into her long-awaited pregnancy. Nicole is brimming with health and vitality, perhaps with the glow that pregnant women are often reported to have, as she awaits this much-anticipated birth. Nicole has private health insurance and access to the best medical care in Australia. She did not receive any advice about alcohol and pregnancy until she was five months pregnant and this was received in a package of information from her hospital. Finally, at this point, she was clearly told that no alcohol is the recommended health advice for pregnant women supported by the Australian government health guidelines, the World Health Organization, and most global health advisories. Nicole heeded this advice from the moment she began planning her conception and pregnancy and has confidence that she has given her tiny baby the best chance to develop and create the complex systems which are required to keep a human body going. Nicole, at five months, is visibly pregnant and her series of Christmas parties was a series of opportunities to refuse alcohol. Everyone offered alcohol, at every event and when she declined she was encouraged to “have just one”. Sometimes comments bordered on ridicule for her choices, while others offered ‘researched’ advice that a small amount of alcohol is good for you. We don’t force cigarettes on people, we don’t encourage people to ignore risks with soft cheese, we don’t try to convince someone to eat just one piece of sushi – so why do we encourage and support alcohol in pregnancy? Why don’t we think of interesting alcohol-free choices? 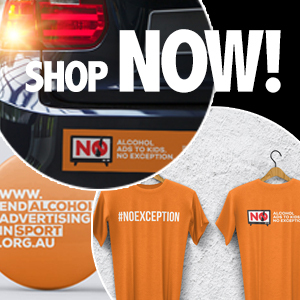 Why do we make alcohol-free the exception rather than the rule? Does it matter if people don’t understand what happens when a pregnancy is exposed to alcohol? Does it matter that there is no known safe limit of alcohol which can be consumed during pregnancy? Does it matter that children risk a lifetime of disability and challenges? It does matter because Fetal Alcohol Spectrum Disorder (FASD) is the most prevalent, preventable disability in the world. Studies in mainstream populations in the US and Canada point to conservative estimates that between 2 – 5 % of the population is affected by FASD with higher numbers evident in at-risk communities. We don’t know how much FASD there is present in mainstream Australia – it hasn’t been researched. However, newspaper headlines document increased incidence of serious behaviour issues in schools, increased incidence of emergency room incidents, unacceptable growth in prison populations, falling education standards and increases in disability numbers. Australia needs to undertake effective FASD screening or we will never prevent FASD and we will never know the role which FASD has in these figures. Finally, Australia needs to be serious about pregnancy warning labels on packaged alcoholic beverages. It would be impossible to find another product which causes such harm and is sold so widely and freely without a clear warning and reminder. Mandatory labels are needed. It is negligent and irresponsible for Australia to remain complicit in a situation which exposes unborn children to unacceptable risk. Postscript – Nicole (not her real name) gave birth to a healthy baby girl and was grateful she understood that alcohol should not consumed when planning a pregnancy and during pregnancy.